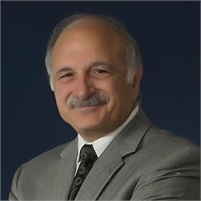 Richard Lofredo is a respected financial professional and educator with three decades of experience providing financial planning strategies to families, business owners and corporate executives. From money management and Special Needs Planning, to retirement and life insurance planning, Rich’s success can be attributed to the relationships he develops with his clients. Satisfied clients speak of his guidance as having helped them focus on their financial health and feel more confident in their family's future. Particularly, Rich provides valuable expertise to families with special needs. Families and guardians of children with special needs face unique challenges—retirement planning takes on a whole new meaning when you have a child that will someday be an adult who will depend on you for education, healthcare and financial security. Richard passionately continues to educate himself on the various government services available to the special needs community, as well as the challenges that face so many families. Because of his continuous education, Richard can provide an understanding approach to financial planning that considers the unique circumstances of each family. He understands that as families navigate their way through a new diagnosis, questions about the long-term future arise. Richard is well-equipped to guide families through this process, securing all aspects of financial planning that account for all members of the family.